In 1976, the 25th party congress of the Communist Party of the Soviet Union (CPSU) takes place in Moscow. The politburo of the CPSU is welcomed with the usual ovations. Unusual, however, is the extent of tribute to the Soviet Communist Party leader Leonid Brezhnev. In his speech he addresses the achieved foreign policy successes and points to the internationally grown prestige of the USSR, with reference to the delicate theme: “Unity of the Communist Movement”. 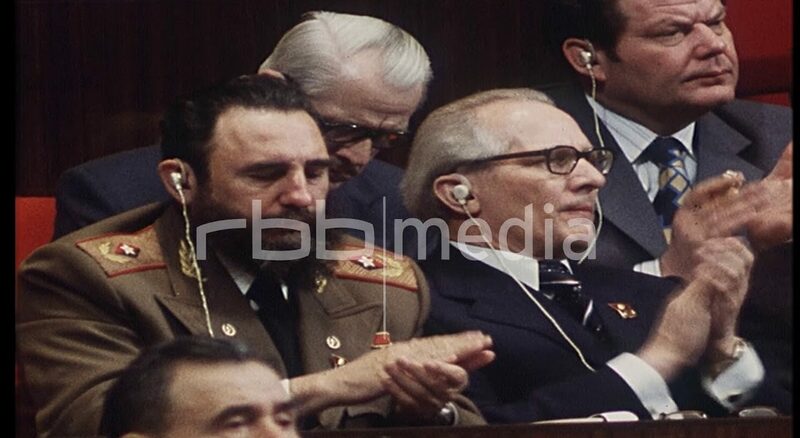 Erich Honecker and Fidel Castro are also present at the speech and stand behind the demands of Brezhnev.